Our White Label Email Marketing Platform (cloud-based) is ideal for creative agencies, marketing service providers, web developers or software companies who want to offer email marketing solutions to their customers. With our Reseller Edition, you have the flexibility to manage an email program on behalf of your clients, or work collaboratively by providing product access directly to clients. From email marketing to SMS or even web landing pages, Critical Impact’s White Label Email Marketing Platform is a popular choice among marketing agencies for its ease of use and pricing flexibility. One of the industry’s only TRUE white label email marketing platforms, Critical Impact makes it easy for you to offer your own privately branded email marketing solution. Choose a custom URL for client access to the platform. Brand the site using your own custom logos and colors. From your reseller account, you can push content to any of your sub accounts. This streamlines the process of creating messages or templates and then inserting it into one or more of your sub accounts. Create email templates that contain your preferred styles and layout and make them instantly available in all sub accounts. Create newsletter articles and copy them into specific accounts as well. You can easily create separate sub-accounts for each of your customers and easily manage client permissions and account configurations with our reseller admin tools. 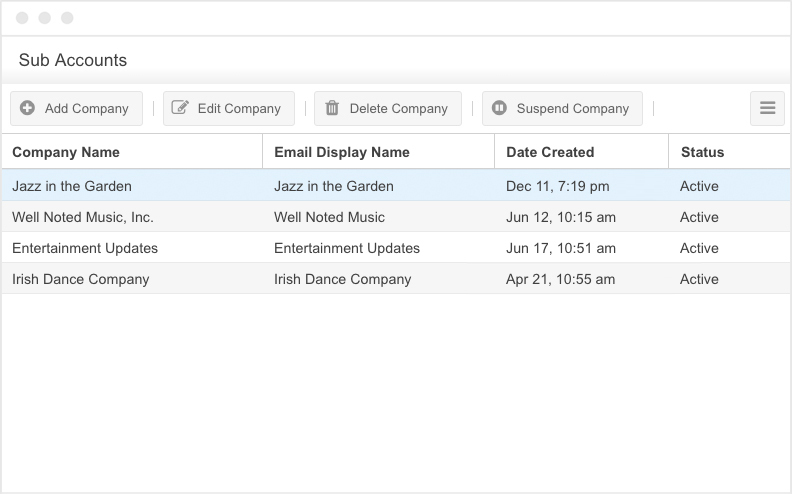 System users can easily toggle between sub-accounts and run reports across multiple sub-accounts. Every account you create will be completely separate from each other. They will each have their own unique statistics, reports, unsubscribe preferences, and more. Assign permission levels for each user who accesses the system. Specify which advanced feature tools are available in each sub account. 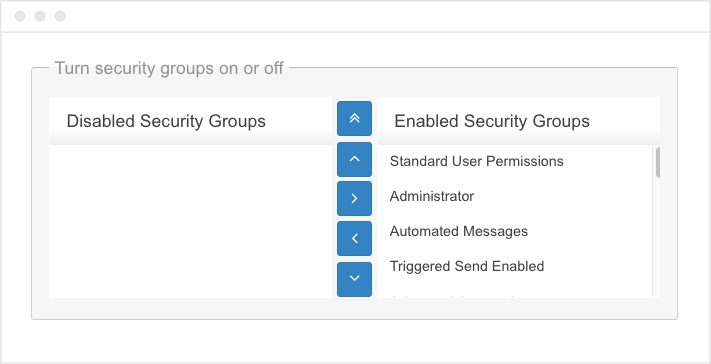 Admin users can easily toggle between sub accounts without memorizing passwords. When you log in as another user, you’ll see exactly what they will see when logged into the account. Monitor login activity at the user level to see which user was the last to modify a message or send out a recent campaign. Critical Impact’s White Label Email Marketing Platform is a popular choice among marketing agencies for its ease of use and pricing flexibility. Contact us today to learn more about how to customize Critical Impact for your brand’s needs.